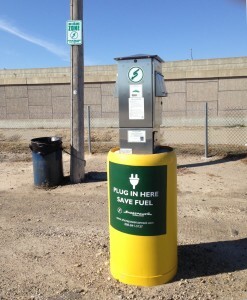 Power Pedestal: The pedestal (pictured left) is a stainless steel, all-weather stanchion installed nearby (typically along the perimeter) truck parking spaces that delivers 120V – 208V (cab power) and 460V* (reefer) power. Payment and Control System: The heart of all facilities is the automated payment and control system. This allows Shorepower to complete each transaction remotely and deliver services to drivers, without requiring any on-site personnel. The Shorepower system drastically reduces operational costs providing a cost-effective solution to the end user as well as revenues to the host-site. Drivers will have the option of calling a toll-free number, using a kiosk or paying via their own laptop or smartphone. Currently, the most widely available and convenient option is the toll-free number. 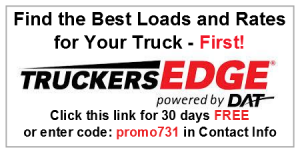 Drivers simply call 1-888-841-3137 and specify the desired location and connection number. Live support personnel then activates the services remotely. On Board Cab Kits: Shorepower offers a range of cab comfort and efficiency packages for the driver. 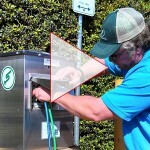 At its simplest the driver can begin using Shorepower by simply connecting a heavy-duty extension cord to the Shorepower pedestal after placing an authorization call. More advanced installation kits include a cab mounted load center and wiring harness to power a full range of cab amenities including heating, AC, cooking and entertainment devices, as well as block heater. Most OEM truck manufacturers, including Volvo offer on board Shorepower compatible electrification modules.